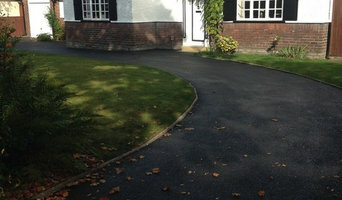 We are the number one choice for Tarmac and Asphalt in Liverpool. Alpha Surfacing Ltd is owned and operated by Thomas and Sean Gardner who between them have over 35 years experience within the tarmacadam and asphalt industry working in the United Kingdom, Eire and the Isle of Man. We have set up Alpha Surfacing Ltd with the sole objective of providing high standards of quality workmanship and a reliable service to our customers in any project we carry out. Asphalt surfacing and resurfacing is the main feature of our business together with site infrastructure and site preparation, ground work, site leveling and white lining. With over 25 years experience, Evans Paving has been helping home owners from across Cheshire, Manchester and the North West create beautiful, yet practical outdoor spaces. We are able to provide a full and comprehensive quality paving service, covering all aspects of paving and landscaping, including driveways, patios and paths. We are bursting with ideas for your garden and driveway. We are a long established local contractor and are a leading name in groundworks in the Wirral area. We operate in both commercial and residential groundworks and provide a labour, plant and materials service. Our projects cover a wide range of services from site clearance and enabling works, all substructure works, drainage, residential & industrial fencing, garden walling, driveways and everything inbetween. Whether your a homeowner looking to improve the look of your garden with a new boundary wall or a local school in need of new fencing for your playgrounds no job is too big or small, our pricing is competitive and all work fully guaranteed. With over 15 years experience in hard exterior landscaping, Excell Driveways can handle every aspect of your paving project, from concept to completion. We specialise in block paving for patios and driveways in Deeside. Fully conversant with all the latest products and materials available and boasting a wealth of knowledge to draw upon, we can provide personal expert advice on the most appropriate solution to fulfil the particular need. 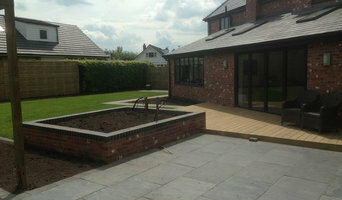 TaylorMade Landscapes is a trusted local paving company operating throughout Northwich and surrounding areas. We specialise in all styles of driveways in Northwich, and produce outstanding surfacing solutions for both commercial and domestic customers. Our comprehensive range of services includes driveways, pathways, car parks, road repairs and pavement lowering, so you can be certain that our professional team are able to meet your specific requirements. We have a broad portfolio of projects which we have completed in a variety of environments, which but a few can be viewed in our gallery to give you a good idea of the results that we have achieved for other homeowners & busineses in the Liverpool area. We maintain our high standards by completing all groundwork projects in Liverpool in-house using our own expert contractors and our own equipment. 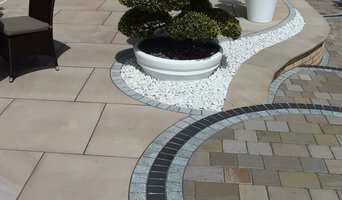 Creating quality patios and driveways in Liverpool is our area of expertise, so if you are looking for a reliable company to add the perfect finishing touch to the exterior of your property at a fair price with no compromise on installation standards, look no further than J B Drives & Patios for your groundwork project. J L Driveways is a family run business, established in 2006, operating in and around the Warrington area. We at John Taylor Drives And Patios, provide a professional and reliable service, with the knowledge and craftsmanship to provide you with the very best in bespoke driveways and patios. Why should I hire Liverpool, Merseyside driveway pavers? For those building a new home from scratch or completely renovating a house, sorting out the driveway and paving around the exterior of the house is usually something that comes as an afterthought, or at least left until the main living areas areas of your home are sorted. However, it’s always a good idea to talk to professional Liverpool, Merseyside driveway pavers at an earlier stage because they can work in tandem with any other exterior contractors working on the job to create driveway solutions that work with the rest of your house. The driveway construction may not be able to happen until after other contractors have finished, but the space will be ready for the paving or laying of the driveway. Here are some related professionals and vendors to complement the work of driveways: Stone, Paving & Concrete, Main Contractors, Landscape Contractors, Cladding & Exterior Contractors. Find a driveway pavers on Houzz. Narrow your search in the Professionals section of the website to Liverpool, Merseyside driveways and paving. You may also look through Liverpool, Merseyside photos to find examples of driveway solutions and paving that you like, then contact the driveway pavers or contractors who worked on them.